Click the button below to add the Grizzly 150 Quart Cooler - Ice Chest to your wish list. The Grizzly cooler line offers the perfect balance of durability and performance that is expected in an affordable, premium grade cooler. The 150 and 400 quart Grizzly coolers offer an improved and unique latching system that has been "Certified Grizzly Bear Resistant" by the ICBC testing protocols when combined with two shackle padlocks. 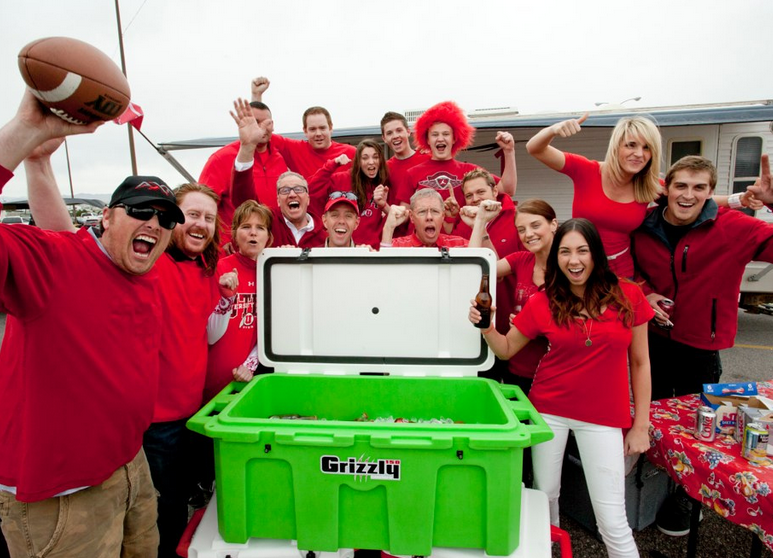 You’ll see why Grizzly Coolers are the OUTDOOR EVERYTHING COOLER and a must for any serious camper or tailgaiter. SUPER SALE ITEM - LIMITED TIME ONLY!! NOTE: Available in White/White and Tan/Tan only. Call (716) 990-4588 for custom colors or branding options. NOTE: Be sure to purchase from an Authorized Dealers such as us so that you're covered if anything happens to your cooler. Coolers sold on Ebay and Amazon are typically not sold by an Authorized Dealers so buyer beware. More than pleased and better than our junk RTIC cooler. Excellent product and very pleased with the service and quality of the grizzly coolers. Our new grizzly is way better than the garbage rtic cooler my husband purchased. Great product and service! Highly recommended compared to shopping at places like Amazon. Our charter customers love the cooler as much as we do. Since purchasing our Grizzly 150 we've saved a ton of money on ice. And the fact we know our fresh catch remains frozen is priceless. So far I'm lovin my new grizzly cooler. great service and would never buy on amazon again after some of the issues i had with no warranties and horrible service. Always best to support businesses like these guys. Grizzly coolers is a great brand. Compared to my Igloo coolers my new grizzly is not even in the same ball park. Great cooler brand and very sharp looking as far as fit and finish goes. It holds ice about 7 days without precooling and about 8-10 when precooled. We absolutely love our grizzly for parties!